Older PostCardio or Weights. Weights or Cardio. What’s It Going To Be? Bodybuilding is a unique sport which requires competitors to exhibit maximum muscle mass and minimum body fat at the same time. These two requirements are somewhat unnatural in that the body prefers to gain both muscle and fat together or lose them together. 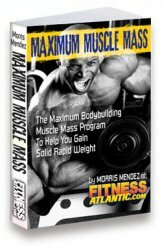 So attempting to maintain or increase lean mass while losing fat deposits is extremely difficult.As all sports involve a process in which new standards are created, new records set and then every effort possible made to exceed those standards and break those records, in bodybuilding it means extending our conceptions of just how far we can take the development of the human body. Bodybuilding is not just about developing muscles, it also involves the visual effect of the body. It isn’t just what what you have, its also, how you look. 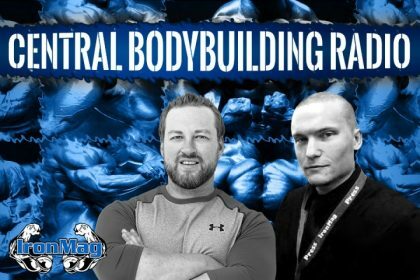 And it didn’t take long for bodybuilders to realize that a certain kind of training involving higher reps and more sets coupled with a diet to rid the body of excess fat gave bodybuilding judges a heck of a lot more to look at. So bodybuilders began to concentrate more and more on dieting. And by the late seventies things had gotten pretty much out of hand. In trying to diet away fat, competitors were putting themselves on such severe diets that they ended up dieting away a large percentage of their muscle mass. So they never got ripped, never got hard – they just got smaller and smaller. 1. The lower calorie diet, the larger proportion of lean muscle mass versus fat you will loose. 2. The body always burns glycogen for fuel, the higher your volume of training the more calories your body is going to burn for energy. Added to this, many bodybuilders have traditionally allowed themselves to bulk up gaining excessive body fat between contests. If you do this, when you finally begin a contest diet 6-12 weeks before a show, you have so much fat to loose in so little time that you unavoidably strip your body of muscle mass as well as fat. Bodybuilders nowadays are beginning to understand the contest dieting process much more clearly. Keep your bodyweight steady all year so that a slight increase in volume and intensity of training plus a moderate diet a few weeks is all it takes for them to snap into great shape. So the first rule of contest dieting is: Watch your diet all season long so that you are within a few pounds of your contest weight when you start your contest diet. Studies have shown you can loose only about one-half pound of pure fat a week through dieting. Training will help you burn off another half-pound. At a rate of a pound of fat a week or less, if you plan to diet only 6-8 weeks you’d better only have a little more than five pounds to lose. Many bodybuilders advocate losing your fat early and gaining muscle right up to the contest. This would result in your weighing the most on the day of the contest. What contest dieting and all other kinds of weight-loss diets have in common is this: To burn off body fat you have to expend more energy than the calories you take in. You have to be in calorie deficit before your body will reach into its stores of fat to create additional energy. We have already discussed the fact that losing body fat has to be accomplished without burning up significant amounts of muscle mass. So our second rule becomes: A successful contest diet must combine reduced calories with a particular balance of nutrients in order for you to lose fat without losing muscle. All diets involve reduced calories. But if simply cutting back on calories were enough, the logical thing would be eat nothing until you’d lost the amount of weight you had in mind. But this idea doesn’t work for these reasons: When you reduce caloric intake too much, your basal metabolic rate slows and you burn less fat during the day. When you do not get enough sufficient nutrients on a daily basis, all of your metabolic processes including the building and maintaining of muscle mass and the production of energy suffer. Therefore our third rule becomes: The contest diet should be designed to include the fewest calories possible without creating nutritional deficiencies. Deciding how little to eat without nutritional deprivation involves first looking at your need for the three basic nutrients: protein, carbohydrate, and fat. As a bodybuilder dieting for a contest you need to reduce your intake of fats as much as possible. Of course, you need some fats and their essential fatty acids simply to survive. So eating a diet with zero fat content is not advised. But every gram of fat contains nine calories (as opposed to protein and carbohydrate, which only contain four calories per gram), so a low-fat diet is necessary in order to achieve a reduction in calorie intake. Keep your fats (including oils, bullet, whole dairy, and red meats) to a minimum. The amount of protein you need in your diet is also fairly easy to determine. Experts” have been telling us for years that bodybuilders, athletes and human beings in general don’t need large amounts of protein, that the RDA of one gram of protein for every kilo (2.2 pounds) of bodyweight is adequate. More recent studies show this is not nearly enough for bodybuilders and probably isn’t enough even for the average person. Instead, keep your protein levels up at least one gram for every pound of bodyweight – preferably a little more than this rather than a little less. Healthy, hard-training bodybuilders (unless they have certain medical conditions) have little to fear from eating larger amounts of protein. If you eat more than you need you will add extra calories to your diet. But if you eat less protein than you need, you have prevented your body from building and maintaining maximum muscle mass. So our rule of thumb for protein becomes: Eat no less than one gram of protein for every pound of bodyweight daily no matter how much you are cutting calories. With protein at a fixed level and fat at a fixed low level, the only variable is carbohydrate. Bodybuilding is a specialized sport with very specialized needs. When you are preparing for a contest, performance involves maintaining muscle while minimizing bodyfat. Therefore, as far as the contest diet is concerned: Progressively adjust the amount of calories you consume weekly by adjusting the calorie levels of the carbohydrate you eat while you still fuel your workouts and supply your body’s basic needs. Determining how much carbohydrate per day involves not depriving your muscle of carbohydrate. With no carbs in the body, you lose a lot of water (every gram of carbohydrate binds in the muscles with almost three grams of water) and you lose several pounds of bodyweight, but not body fat, immediately. Obviously, this is not a good diet for bodybuilders when you dehydrate like this your muscles get small and flat. When your body burns up muscle tissue you are defeating your own our purpose. Carbohydrates, of course, come in all different forms. Fruit is carbohydrates; so is fruit juice. Sugar is carbohydrate, as is wine. But the way to use carbohydrate for contest dieting is this: Eat as much carbohydrate in a form that is high in fiber, low in concentrated calories. Carbohydrate food like sweet potatoes, brown rice, vegetables contain allot of fiber. Fiber is important because it causes food to move more quickly through your system and this reduces your absorption of the calories by something like 10 percent. Eating high-fiber foods allows you to eat more, feel full, and avoid a feeling of hunger and deprivation without taking in a large amount of calories. One major problem that afflicts many bodybuilders is the idea that the more fat you lose the better. This isn’t true. You need to lose only enough body fat so that you look ripped onstage or in the mirror. The purpose of the diet is to lose subcutaneous fat. You want your skin to look thin and your muscles and striations to be revealed. But you may also have intramuscular fat in your body, fat that is like marbling you see in an expensive steak. Just as water contributes a lot to muscle size, so does intramuscular fat. If you continue to diet past the point where you have gotten rid of your subcutaneous fat, all you will do is make yourself smaller and smaller without getting harder or more ripped. 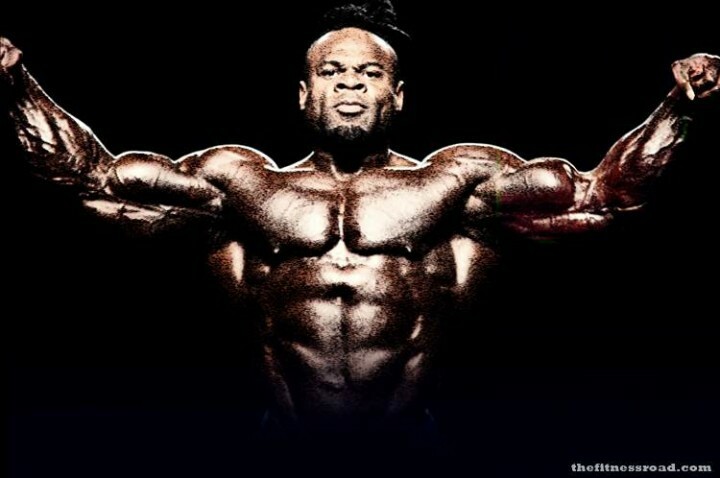 In tests that have been done on competition bodybuilders, we have seen champions with as much as 6-8 percent body fat. How could the percentages be so high? Because these were large 200 pound ripped to the bone individuals, and the bigger you are, the more muscle you have, the more intramuscular fat you will have as well. On the other hand, a light or middleweight bodybuilder or a woman competitor might well test at 6-9% because less intramuscular fat. So keep that in mind as well. You also have to keep in mind that you will not really look your best until you have finished your diet and carbed up for the contest. As your muscles fill up with glycogen and water, you suddenly begin to look bigger, more muscular and super ripped. As you are dieting since you have little excess carbohydrate in your system, the water in your body has nowhere to reside except under the skin. “I’m holding water,” bodybuilders are always saying a few weeks before a contest, but what is really happening is they are dehydrated due to low levels of glycogen but the little water they do have is temporarily positioned subcutaneously. Carbing up takes care of this problem, so don’t worry about it. Nor should you drop your sodium levels except as part of the immediate pre-contest preparation program only three days prior. inside you before the end of the year – Guaranteed.